Hanoi (VNA) – Significant sites in major cities of Vietnam will be lit up simultaneously on the night of August 8 to mark the 50th anniversary of the Association of Southeast Asian Nations (ASEAN). The cities are Hanoi, Hai Phong, Da Nang, Can Tho and Ho Chi Minh City. The activities are part of the ASEAN Landmark Lighting event, an initiative of the Philippines - ASEAN Chair 2017 - aiming to help raise public awareness of ASEAN. Member countries will have major sites lit up red, blue and yellow or with the icon of the bloc. In Hanoi, the lighting decorations will be in front of the Cach Mang Thang Tam (August Revolution) Square in front of the Opera House. The northern city of Hai Phong will install 13 ASEAN logos with lights around the flag pole at the Opera House. 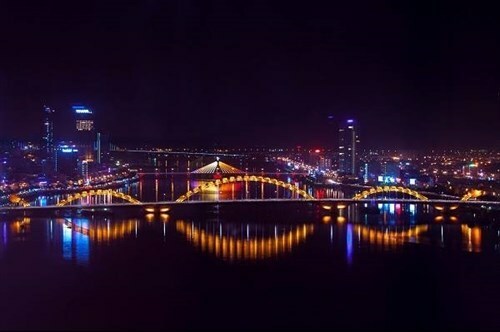 Meanwhile, in Da Nang city, the Bach Dang-Nguyen Van Linh intersection next to Rong Bridge and Pham Van Dong-Vo Nguyen Giap roads along My Khe beach will be lit up. Short films and documentaries about ASEAN will be played on LED screens at the gate of the Asia Park in the city. The landmarks to be lit in HCM City include the Thong Nhat Hall, the Opera House, the HCM Museum, the post office and the headquarters of the municipal People's Committee. In Can Tho, Ninh Kieu pedestrian bridge and Hai Ba Trung street in Tan An ward, Ninh Kieu district will be decorated on the night.